We are not here to fight. 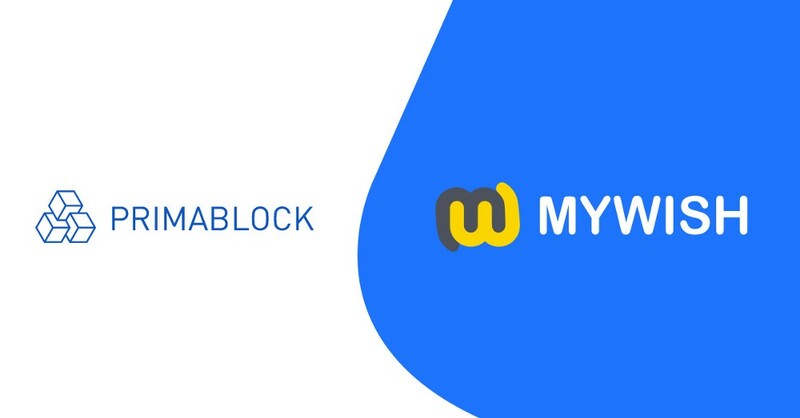 PrimaBlock vs MyWish. Blog / We are not here to fight. PrimaBlock vs MyWish. The ICOPool Smart Contract was successfully deployed last week. Apparently, we weren’t the ones inspired by small investors. At first glance, PrimaBlock is our decent competitor with an equivalent service but it is not completely true. In this article, we compared MyWish Smart Contract and PrimaBlock Smart Contract to make it clear for everyone who is involved in the process of investing in pre-ICO. 1. Small investors who want to figure out how to protect their assets and get them back in case of a failed soft cap. 2. Pool managers who care about their reputation in a crypto society. Also for those who is in a permanent search for a convenience. 3. ICO teams which don’t want to let their supporters down. A commission fee is a service charge assessed by a smart contract platform for providing a secure and organized process of fund-raising. Platforms are likely to derive much of their income from charging this commission. PrimaBlock: charges you with 0,5% of the funds raised. MyWish: Funds raised are free of charge. Pool managers pay only for the Smart Contract deployment. It is generally believed that the most reliable indicator of trust is a set address for all the investments. Indecisive ICOpool managers damage their reputation and confuse investors when they change an address of a final transaction (from an ICOpool directly to ICO wallet). PrimaBlock: ICOpool manager is able to change an address at any time. MyWish: After an official deployment of an ICOpool its manager has no right to change an address. No one has. Investors can easily lookup, confirm and validate transactions that have taken place on the Ethereum Blockchain. They can do that by going on Etherscan. PrimaBlock: Investors can’t check a contract because an original code is hidden. MyWish: An original code of every ICOpool Smart Contract is uploaded & verified on the Etherscan. Blockchain is a decentralized system which is supposed to let people decide if they want to remain anonymous. We wish it was always that way. Sometimes there is a room for a process of verifying the identity of users. The term for this is called KYC (Know Your Client) which was taken from a bank industry. It is commonly used to assess potential risks of illegal intentions. PrimaBlock: A verifying identity system does exist. MyWish: Pool managers don’t have to put them through the process of KYC. Pool managers are usually random people who you infinitely trust which we know is hard. That is exactly why developers created a feature which allows any person in the world to send raised money to ICOs when their soft cap is reached. PrimaBlock: Only Pool managers have the power to send raised money to an ICO. MyWish: If ICOPool contract reached the goal then any person can call the contract to send money to the destination address which was specified by pool manager. This is a customizable feature, so manager can choose who can initiate the investment: everyone (more trusted for some cases like losing the key or disappearing) or manager only (more control for admin). After pre-ICO is successfully done, investors receive their tokens directly in their wallets. PrimaBlock: The feature of an automatic token distribution is included. MyWish: Investors have to call a Smart Contract by themselves to get tokens. Now developers are working on that to implement an automatic token distribution. Thus, both of the smart contracts are really significant but people should decide on what they pursue. PrimaBlock is more focused on simplicity and time saving. MyWish is aimed to protect small investors by implementing aforementioned features. Security is MyWish’s strong suit. You are welcome to test 2 of the Smart Contracts before actually using them. Tell us your opinion and what differences you notice!